Solid, liquid or gas worksheet. Look at each of the pictures and determine if it is a solid, a liquid or a gas. 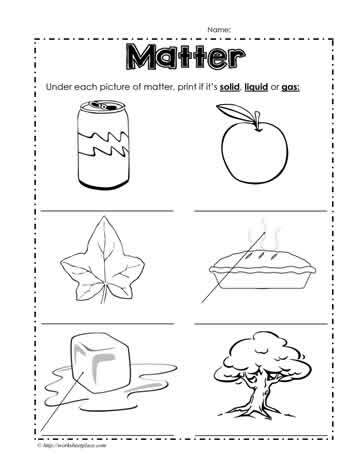 Grade 1 science worksheets for states of matter.